On August 1st 2014, a series of prayer vigils began in Astoria, Oregon. For 16 consecutive days along the Columbia River, multi-faith prayer vigils were held to provide a forum for Columbia River citizens to gather to pray, sing, share stories and break bread. These vigils not only helped raise awareness about the Columbia River Treaty, fish passage, and the health of the river, but most importantly it brought diverse groups of people together from all walks of faith. Adam Wicks-Arshack begins the prayer vigil at Fort Colville, Kettle Falls, WA. Photo by John Roskelley. Astoria, OR – Over 50 people gathered at the waterfront park in solidarity against coal export terminals, LNG exports and the continued exploitation of the Columbia River. While this community has been fighting for some time against these exploitations, the community organized by the Columbia Riverkeeper found great joy in the opportunity to gather around something positive. To pray for the health of the Columbia River, to pray for the return of the salmon to the upper river and to share stories about their own personal connection to the Columbia River. Longview, WA – On Sunday afternoon, over 150 people, along with drummers and singers, greeted the Cowlitz Tribe’s canoe family as they paddled into the Prayer Vigil at Willow Grove. Five different Christian faiths from the community were represented and the chief of the Cowlitz Tribe shared some very powerful words of hope and wisdom. Many speakers spoke and prayed about the importance of returning the salmon above Grand Coulee dam and back into Canada, as this is something that would positively impact the river as a whole. Two beautiful songs were sung by all of the attendees, “Come Down to the River to Pray” and “The River Song.” Click here for The Daily News Online coverage. Hood River, OR – A very diverse group of Columbia River citizens gathered to dance, sing and pray at the waterfront park in Hood River, OR. The vigil began with a dance which came from Crow Indian tradition and was followed by all of the attendees sharing their personal connection to water and the Columbia River. The vigil then moved down to the river where people were instructed to touch the water and throw it into the air following a very moving prayer and harmonica rendition of “Shanandoah.” Click here for Hood River News Coverage. Wanapum Village Longhouse (Hanford/Priest Rapids Dam) – The Wanapum Tribe hosted a very powerful vigil at their longhouse. Delicious first foods were shared along with songs, prayers and stories. Two Rivers, WA (Confluence of Spokane and Columbia River) – Hosted by members of the Spokane Tribe and faith leaders from Spokane, 50 Columbia River citizens gathered to share stories and pray for the Columbia River. This was the first vigil to be located up-river of Grand Coulee and the mood was more somber but each spoke of hope for the future. An Okanagan woman who drove over 8 hours to attend the vigil sang “Amazing Grace” in her traditional language followed by the whole group singing it in English. Many elders spoke, as did knowledge-keepers from visiting tribes. Speakers spoke about the importance of the Columbia River Treaty and the value of salmon, a healthy river, and leaving a lasting legacy for the youth. Kettle Falls, WA – About 30 people from Inchelium, Kettle Falls, Northport and the surrounding area gathered at St. Pauls Mission. 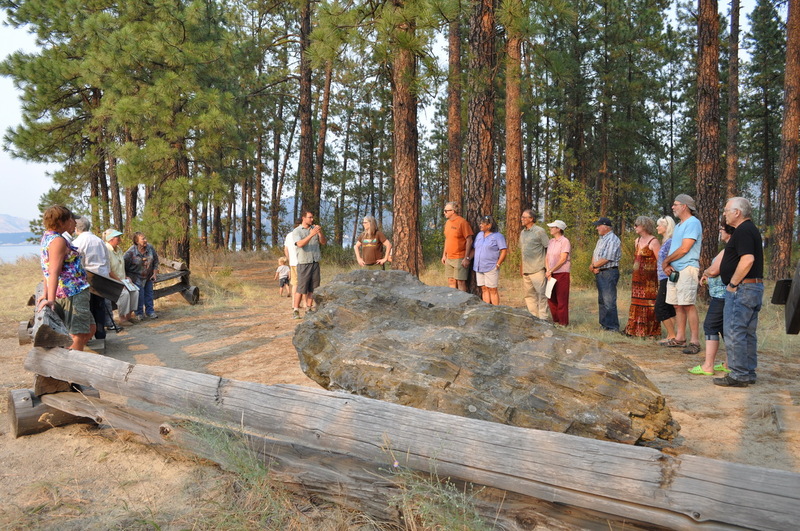 Everyone then walked out to the sharpening stone, which overlooks the now flooded historic salmon fishing site of Kettle Falls. The vigil began with a beautiful Columbia River Song and a moment of silence to remember the falls, the salmon and all those who fished the powerful waters of Kettle Falls. The vigil continued with people sharing poems, prayers songs, and reflections on a river that once was. Trail, BC – About 20 people gathered at Gyro park. The vigil opened with a greeting in the Okanagan language from the Chief of the Lower Similkameen Band. All attendees shared their connection to the Columbia River and a young child sang a beautiful River Song with her grandfather. Nakusp, BC – Over 50 people came together on the shore of Upper Arrow Lake in Nakusp to pray for the health of the Columbia River. Very powerful prayers, songs and stories were shared by people of Sinixt heritage. Prayers from the Christian faith were also shared along with songs and stories from locals of the Nakusp area. Before a wonderful meal, all attendees were asked to wash their hands in the river, to connect with the waters. Revelstoke, BC – Fifteen people from the Revelstoke area gathered to pray for and reflect on the Columbia River. The vigil opened with a thank you and acknowledgement to local First Nations followed by songs and prayers directed towards the river. The attendees of the vigil then went down to the river and attached a prayer or a thought to a rock and tossed it into the river. Adam Wicks-Arshack is a master canoe-builder. In 2013 he and other voyageurs worked with Tribal youth to build canoes, then paddled canoes upriver from Pacific Ocean to the Columbia River headwaters. 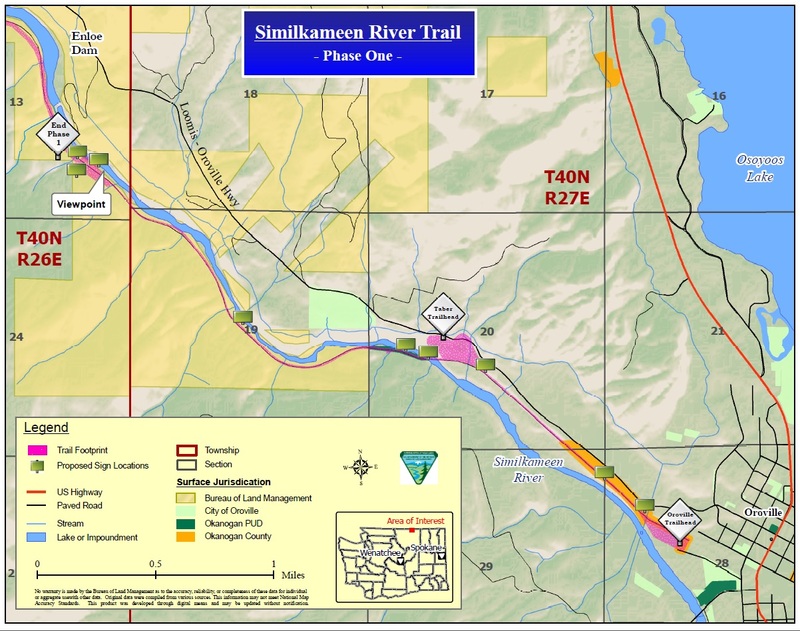 Their canoe journey brought regional focus on modernizing the Treaty and returning salmon home to ancestral spawning waters in the Upper Columbia River. Adam is working with CELP on our Ethics & Columbia River Treaty project. To view films of his voyage click here.